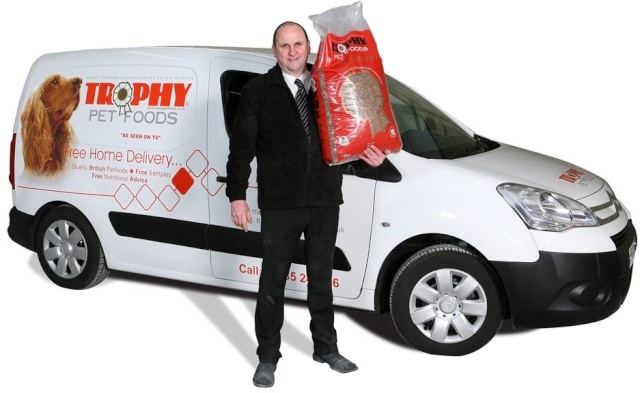 To join the Trophy nationwide Pet Food Delivery Franchise you simply need to be focused, motivated to run your own Trophy Business and prepared to work hard, putting in some long hours until you are established. 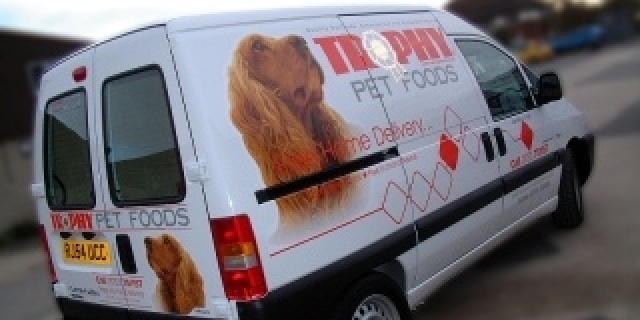 Established in the early 1990's Trophy was the first mobile pet food franchise in the UK. Since its conception, the company has been the market leader in its field and now has a substantial team of passionate pet people/franchisees delivering all over the UK. A nationwide company with the knowledge, experience and know-how to make each of its franchisees successful. Trophy realise just how important and what a big decision it is to enter into a new venture and start a new business. But this is where franchising comes in. They have the correct skills, experience and know-how necessary to make your new Trophy Business succeed. Trophy train, support and guide franchisees along the way. 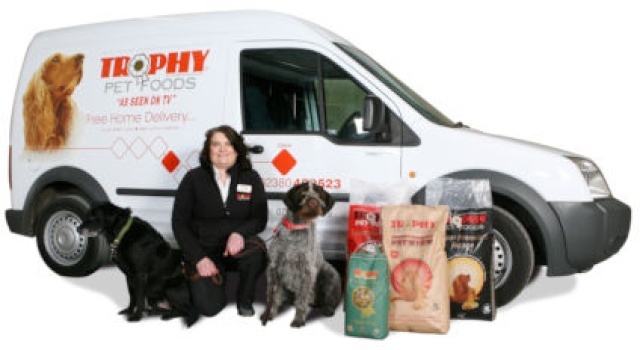 Trophy's tried and tested formula combined with their superb launch programme and support package is designed to ensure every new franchisee can grow and develop an exceptional local pet food business. There is immediately the strength of a large organisation behind you – a proven system. Trophy Pet Foods is a family run business and has a large team of successful, established franchisees. Trophy pet foods are made from only the best available ingredients and to the highest of standards. In a thriving pet food market it is vital that Trophy's pet foods, products and services are of the highest calibre, whilst remaining competitively priced. Trophy has been in business for over 27 years and this background, knowledge, knowhow and research, coupled with working with their established Trophy franchisees has resulted in the unique brand and range of Trophy Pet Foods you see today. Manufacturing their own foods at their own pet food plant allows franchisees to have confidence in what is a quality British premium product that will ensure customer satisfaction and retention. Working with qualified pet nutritionist their foods have modern, advanced formulas. The range is extensive and includes complete, natural, nutritionally balanced foods for all pets. Spread over 4 ranges (Premium, Holistic, Lifestyle and Standard) with 29 exclusive dog foods, 4 distinctive cat foods and a holistic tinned dog food range; their foods allow you to offer your customers a range of pricing structures, personal choice, specialist foods and value for money. They also do a wild bird seed range, chicken foods, as well as a small mammal range. They stock a complete, evolving range of pet accessories, treats, pet care items etc. This enables franchisees to offer a one stop shopping concept. Trophy really do cater for everything the British pet owner requires. They manufacture their food each week to maintain freshness and specially select the best ingredients available ensuring that the foods are nutritious, palatable and balanced. Customer service is a priority with free nutritional advice, free home delivery, one stop shopping and free samples, all being available to the Trophy franchisee to promote to their customers. Trophy works closely with each new franchisee to establish a large customer base within the first few months. With a 'try before you buy' policy experienced franchisees can expect a 50-60% take up rate and a high customer retention rate. Price, service, product choice, free home delivery, free nutritional consultations etc are all relevant factors for customers switching to The Complete Trophy Pet Care Service. Once a customer is a Trophy customer, they remain very loyal, with established Trophy franchisees reporting up to a 90% retention rate. 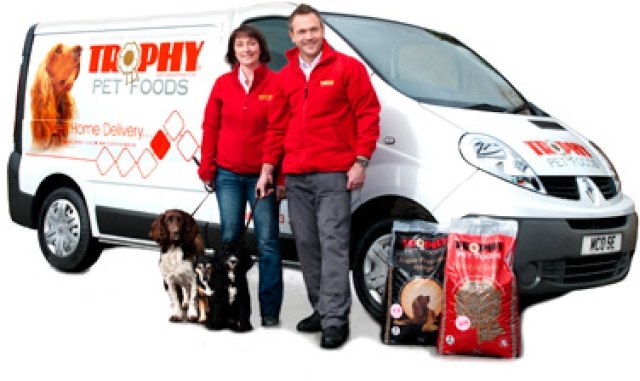 When you form a partnership with Trophy Pet Foods, starting with a smooth and effective launch programme. They are also with you every step of the way, after all your success is their success! One of the many benefits of running your own business in conjunction with Trophy is the level of support they can provide for you. Ongoing support is crucial and Trophy franchisees benefit from excellent communications, product development, free promotional literature, local & national digital advertising, help with growing the customer base, regional meetings, a franchisee council, motivational support and, of course, your own personal trainer. Plus seasonal newsletters for all your customers, brand building programmes, the Trophy website and social media. Plus the famous Annual Conference, a customer referral scheme and show /event support. An independent, professional qualification for all new and existing Trophy franchisees - an independently certified CPD in pet nutrition and UK pet food legislation program. This professional CPD qualification will allow franchisees to offer a professional, dedicated service to their customers, built on trust, confidence in the advice given, and it will add value to the Trophy services, ensuring customers receive the best nutritional advice. 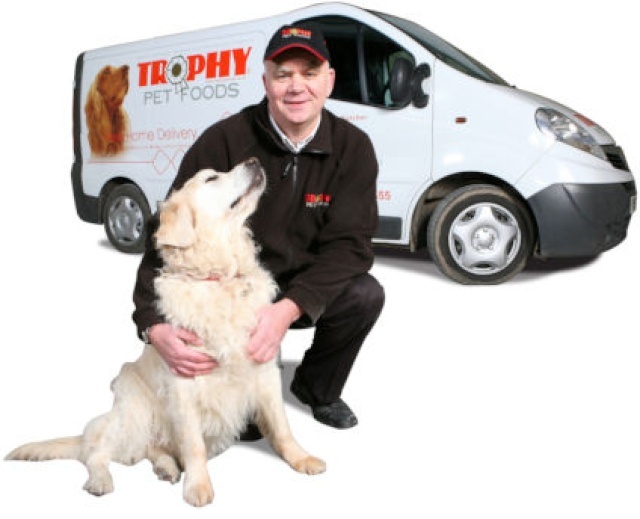 Find out more about the Trophy Business, one of the UK's leading Pet Food Delivery Franchises. Click below now!